Alopecia is another term for hair loss and is a common problem. Identifying the correct from of hair loss is important in achieving a targeted treatment plan. The most common form of hair loss is male patterned baldness. Others such as Alopecia areata are also very common. Fungal infections can also result in patches of hair loss. Treatments depend upon extent and nature of alopecia. 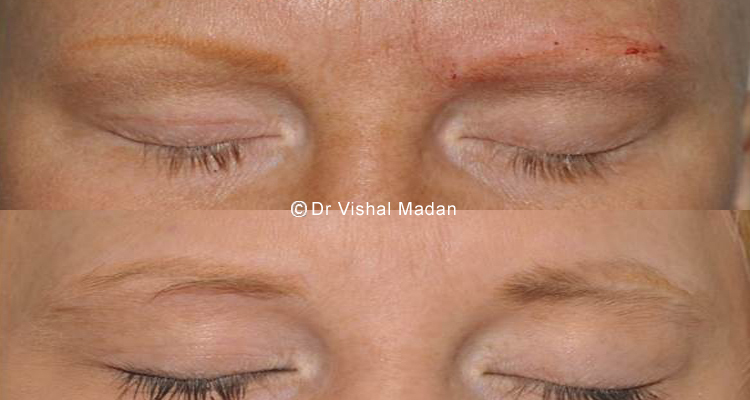 A thorough evaluation is mandatory before commencing any treatment and sometimes even scalp biopsies may be required. A comprehensive range of treatments are now available for different types of alopecia.